A joint petition divorce, when both parties are signing the papers and agreeing to the terms, is granted normally in a week. One spouse (or both) must live in Nevada for at least 6 weeks before filing for divorce, and intend to remain here indefinitely. A friend, family member, or co-worker will have to sign an affidavit stating under penalty of perjury that they know that the spouse is indeed a Nevada resident. If one party is with the US military and their LES shows Nevada as the home state of record you can also file in Nevada. Nevada is a "no fault" divorce state, which means the person asking for a divorce does not have to prove that anybody did anything wrong to cause the divorce. A person asking for divorce only needs to claim that the parties are "incompatible," meaning you just don't get along. There are other grounds for divorce that are not used very often. Usually, claiming that you cannot live together as a married couple and that there is no chance of reconciliation is enough for a judge to grant a divorce. There are two ways to file for divorce in Nevada. If both spouses agree on everything in their case, they can file for divorce together by filing a "joint petition for divorce." These divorces are typically approved quickly, and the parties do not have to appear in front of a judge. If the spouses cannot agree on all the terms of the divorce, one spouse can file for divorce separately by filing a "complaint for divorce." The person who files for divorce is the "plaintiff" and the other spouse is the "defendant." The complaint for divorce will say what the plaintiff would like out of the divorce, and the defendant can respond to the divorce by filing an "answer and counterclaim" stating what he or she wants. 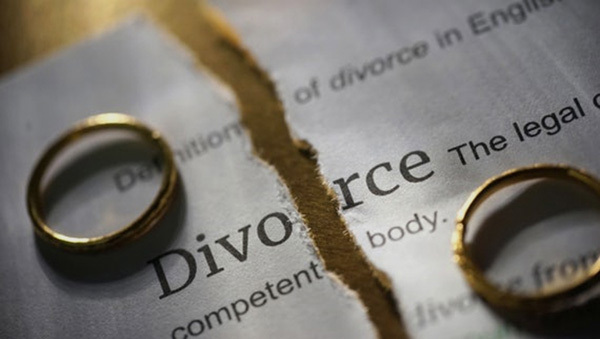 The judge may hold one or more hearings to sort out the issues, and if the parties do not eventually reach a full agreement to finalize their divorce, the judge will set a trial to decide the matters. People often wonder how long the divorce process will take. There is no easy answer to that question, since all cases are different. If you and your spouse can agree to most or all of terms of your divorce, a divorce can be finished normally within 1 week. If you and your spouse cannot agree on very many things, you may have to go to court several times before the divorce can be finalized. If you and your spouse have children under the age of 18, or 19 if a child in full time in high school, your divorce will include orders regarding legal custody, physical custody, visitation, child support, and insurance for the children. Nevada is a "community property" state. This means that while you are married, all property and debts you and your spouse acquired are presumed to belong equally to both of you. During a divorce, community property and community debt are equally divided. Bank accounts, Houses and mortgages, Household items and furniture, Cars and car loans, credit card balances, Tax debts, Pensions and retirement accounts, A business owned by a spouse, etc. Generally, any property or debt a spouse owned before the marriage is that spouse's "separate property" and belongs solely to that spouse. Inheritances, personal injury awards, and gifts are also usually considered separate property and are not divided during a divorce. There are exceptions to these general rules. How long the marriage lasted and the lifestyle shared by the parties during the marriage. Each spouse's age, health, education, career, and earning ability. One spouse's need for financial support versus the other spouse's ability to pay. A judge may order "rehabilitative alimony" to help a person obtain job-related education or training. This type of alimony is meant to increase a person's job skills and earning power so they will be able to support themselves after the divorce. If either spouse changed their name due to the marriage, they can request the court to change their name back.